The African leopard tortoise is one of the largest tortoises in the world, and can live to be 75 years of age or more—much like a human. While a fully-grown tortoise has no natural predators, the leopard tortoise may be threatened by humans who hunt, destroy their habitat, and capture them for the pet trade. African leopard tortoises are the fourth-largest species of tortoise, and can weigh as much as 120 pounds. 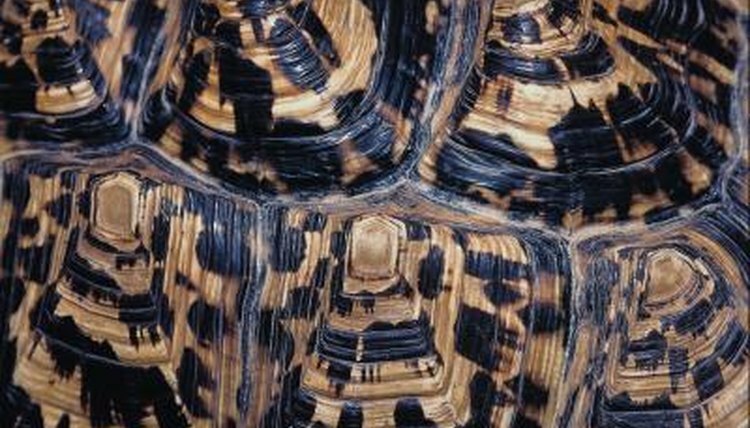 Their tan to buff-colored shells are marked by a series of dark brown or black spots that give the tortoises their name. Their carapaces are tall and deeply curved. Their legs and heads can be tucked away beneath the domes of the shells for protection. The African leopard tortoises’ heads are wedge-shaped and angle downwards to allow their beak-like mouths easy access to low-growing grasses and shrubs. The African leopard tortoise is distributed widely across the African continent. They can be found as far north as Sudan and as far south as the Cape. Because it is a grazing species, the African Leopard tortoise predominately inhabits semi-arid shrub lands and the open, grassy plains of the savannah, with a preference for open areas that allow plenty of space for their hefty bodies to move unencumbered by brush. African leopard tortoises are entirely herbivorous and in the wild their diet consists mainly of weeds and grasses with the occasional mushroom, succulent plant, or fruit. Their strong, beak-like mouth easily shears off plant material into bite-sized pieces for the tortoise to swallow. In captivity, African leopard tortoises are generally fed a mix of commercial tortoise pellets supplemented with greens such as kale and carrots. This large tortoise species does not reproduce until they reach at least ten years of age. Mating competition can be fierce, with male tortoises ramming and biting one another until one tortoise either submits or is overturned. Females can lay up to 30 eggs at a time, each only about an inch and a half around. The eggs hatch 18 months later, and the newborn tortoises fend for themselves immediately.